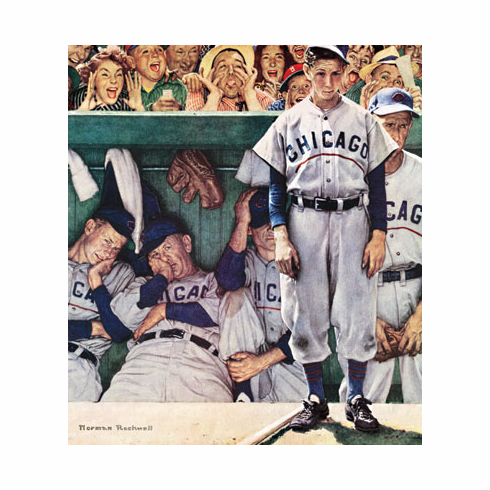 The Dugout Chicago Cubs Norman Rockwell 500 piece jigsaw puzzle. Puzzle size: 15" x 17". Tin size: 4" x 8" x 2.5".